Is your child a high acheiver, gifted learner or creative thinker? Bertie Kingore, PhD, is an expert on differentiation and has previously consulted with gifted educators in CISD. 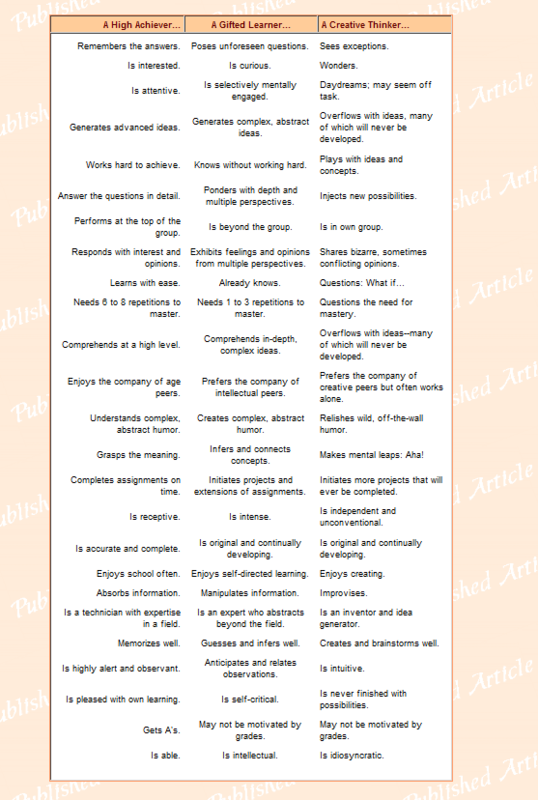 She has posted on her website an interesting chart that compares high achievers, gifted learners and creative thinkers. For more information, please check out Dr. Kingore’s website.